Agriculture: the gateway to tackling serious issues of poverty. Living in an agricultural society, the farm itself has always been a pivotal part of our work here. As a fully-functioning farm, Choshen both models and trains others in conservation farming and animal husbandry, and employs a number of local farm workers as well. The farm is made up of 25 hectares of land, on which we farm soy beans, maize and ground nuts, and a large vegetable garden. We also rear a small herd of cattle and an ever-increasing number of chickens (600+) and ducks. What's an average day look like? 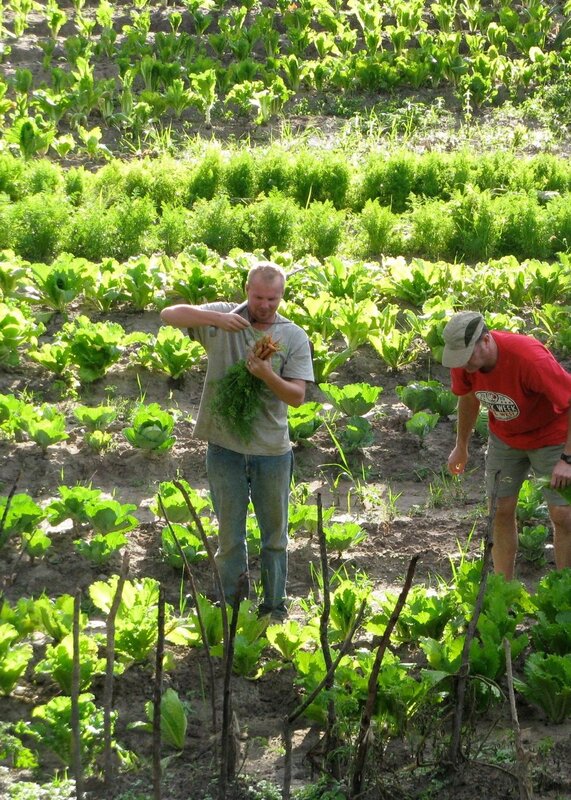 We regularly receive visitors who trek out to the farm to learn about how to grow a successful farm of their own. Additionally, it has been our pleasure to facilitate a series of workshops for both local farmers and the government’s Ministry of Agriculture on topics including conservation farming, farm economics, and small tractor usage. The farm’s produce and profits also directly support local ministries, including Fimpulu Christian Preschool and Home Based Care (HBC). It also contributes towards local salaries and much of our benevolence work. Targeted giving to the farm allows for advances that increase the farm’s output and expands its overall impact. Our vision for future agricultural development includes promoting mechanization thorough walking tractors and introducing other appropriate technologies. We want to see every interested farmer expanding his or her earning potential, thereby improving the economic standing of local families. Invest in agricultural development in rural Zambia!